1. Before adding your account to the Windows 10 mail app go to outlook.live.com. 2. Sign in with your existing Microsoft account or create a new one. After signing in, go to the gear at the top right side of the screen. 3. In the pull down menu, click on connected accounts. If you have a gmail account you click on gmail, if it’s a different email account click on other email accounts. 4. Put in the email address you want to use and fill out the information. After you do this, Outlook mail will import all of the email from the address you put in. 5. To import your contacts, click on the people icon located at the bottom left of the screen. 6. Then click on the manage tab located at the top of the screen. 7. Then click on import contacts. You will be asked where you want to import them from such as gmail, yahoo or Outlook. 8. Make sure you have exported your contacts to a cvs file and save it on a USB stick or your desktop. It will ask you to browse to the location of the contact cvs file you created. When you click on this, it will upload your contacts into Outlook.live.com. 9. After this is finished, go to the Windows 10 mail app on your computer. 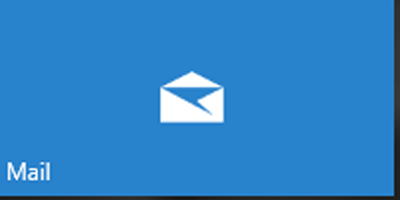 If the mail icon is not in the bottom tray of your PC, left click on the Windows icon located at the bottom left of your screen. 10. Then click on the mail icon from there. This will ask you to choose an account. You will choose outlook.com. Put in the email address you created in Outlook and your password. Once you sign in hit next and this will create your account. Then hit done. This will import the emails and contacts you set up in outlook.live.com. Now every time you open the Windows 10 mail app, your email will sync. Hope this helps!